Five more people were charged with corruption in the ongoing federal probe of driver's license operations under the secretary of state's office. U.S. Attorney Scott Lassar alleges in the latest charges that Soon Cho, former manager of the Elk Grove Village facility, Ronald Martin, an Elk Grove Village and Deerfield facility employee, and driving school executive Wojciech "Wally" Grabinski were conspirators in a scheme to pass unqualified truck drivers. Between 1994 and 1996, Grabinski is alleged to have given Martin bribes of up to $500 a week. Martin allegedly gave Cho at least $500 annually to purchase political fund-raising tickets for George Ryan, who was secretary of state then. Driving school manager Peco Sherovski and road test examiner Daniela Goris also were charged with extortion that allegedly took place at the Chicago- West driver's license facility. Between 1996 and 1999, Sherovski allegedly paid state employees at least $20 for each applicant he referred to the facility. According to the U.S. attorney's office, road examiners and a "starter" (who shep- herded applicants to the examiners) typically took in between $50 and $350 a day. Goris joins six other Chicago- West employees who have been charged. The failure of Illinois Supreme Court Justice James Heiple to file for retention in the November election likely signals the end of his tenure on the court. Some argue the Illinois Constitution gives Heiple some leeway on the deadline for declaring this intention. But under state election law, the Peorian, who represents the 3rd District, was required to file for another 10-year term by December 6. Chief Justice Charles Freeman, a Chicagoan representing the 1st District, did file for retention. Justices seeking retention must receive support from 60 percent of those voting to keep their seats on the bench. Democratic state Rep. Carol Ronen of Chicago is expected to be sworn in this month to replace Chicago Democratic state Sen. Arthur Herman, who resigned January 2 to head mediation services for the Chicago Board of Education. Ronen is a candidate for the 9th Senate District in the March primary. Berman has endorsed Harry Osterman of Chicago to replace Ronen in the House. Osterman is a deputy commissioner in Chicago Department of Streets and Sanitation and is president of the Edgewater Community Council. He has filed for the 17th District seat. Ferdinand "Jelly Roll" Morton may well be the country's first true jazzman. But he could be the victim of the first big-time swindle in American recorded music. And it happened in Chicago. Chicago Tribune reporters Howard Reich and William Gaines write that Jelly Roll's claims about being ripped off — largely ignored when he raised them — were right after all. Morton, a man with Creole heritage, crafted his musical style in New Orleans' brothels. When he took his act north, he became one of the most popular jazzmen in the Midwest. During his heyday in the Roaring '20s, Morton owned two luxury cars and more than 100 suits. But in the 1930s, he ended up hawking his suits and trying to make ends meet as a boxing promoter. He died destitute in a Los Angeles hospital. The Tribune investigation found Morton's Chicago-based publisher, Walter Melrose, copyrighted lyrics with Morton's tunes — though they were instrumentals. The paper reports that Melrose siphoned away 75 percent of the royalties for songs that Morton wrote. Ted Meyer, legal counsel to the Illinois Environmental Protection Agency, has been named to chair the Illinois Environmental Regulatory Review Commission. Meyer served his Chicago district in the Illinois House for several terms between 1967 and 1982 and has served as a member of the Pollution Control Board. Gov. George Ryan created the Illinois Environmental Regulatory Review Commission last month. Its mission is to recommend changes in the state's environmental laws. Gene Reineke, chief of staff for former Gov. Jim Edgar, is the new general manager of the Chicago office of Hill & Knowlton, a public relations firm based in New York City. 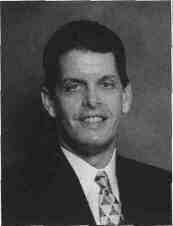 Reineke left an 18-year career in Illinois government to join Hill & Knowlton in 1997. In addition to serving on Edgar's staff, he held several positions in former Gov. Jim Thompson's administration, including the directorship of the Department of Central Management Services. The Joyce Foundation, a Chicago- based philanthropic organization, named Paula DiPerna as its sixth president. She began work this summer. Before moving to Joyce, DiPerna was a consultant for LEAD- International, a program that trains policy leaders in the connections between the environment and economic development. She has also produced films for the Cousteau Society, and has written books on the environment and health, as well as a novel. The Joyce Foundation is a $947 million grant-making organization that funds policy-based efforts to improve the quality of life in the Great Lakes region. The foundation awarded more than $30.6 million in 1998. Beginning this month, students attending Southern Illinois University at Carbondale can apply for four scholarships created in memory of the late Democratic state Sen. Penny Severns of Decatur. In November, Secretary of State Jesse White and SIU President Ted Sanders announced the creation of the scholarships, which are being financed through a combination of state funding and private donations. Three of the scholarships will pay for a year's worth of tuition and fees for eligible students. Another scholarship will go to a Macon County resident attending SIU. Severns graduated from SIU in 1974. She was elected to the Decatur City Council in 1983. 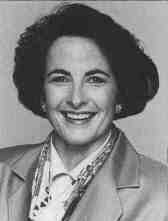 Six years later, she was elected to the Senate, where she served until her death in 1998. She won the Democratic nomination for lieutenant governor in 1994, and ran that race while undergoing chemotherapy for cancer. Nearly two dozen Illinois lawmakers hold second jobs in local governments, in some cases more than doubling their legislative salaries, according to Chicago Sun-Times reporter Dave McKinney. His analysis found eight lawmakers who hold two elected posts and 13 lawmakers who hold nonelected positions on other government payrolls. The biggest beneficiary, McKinney reports, is Sen. William Peterson, a Long Grove Republican. Peterson's combined public pay is $125, 738. He adds $64, 000 to his $61, 738 legislative salary by being Vernon Township supervisor. Others on two payrolls include Chicago Democratic Reps. Richard Bradley and Robert Bugielski — both with jobs in Chicago's Streets and Sanitation Department — and Rep. Dan Burke, who is Chicago's deputy city clerk. Burke told McKinney he is not a double dipper because the state Constitution prohibits him from being paid by the city when the legislature is in session. First elected from Chicago's lakefront district in 1966, the Republican served in the House for 16 years. He held several key positions during his tenure, culminating in 1981, when Ryan, then elected speaker of the Illinois House, named him majority leader. Recognized for his skill in the art of compromise, Telcser's efforts were integral to the creation of the state's income tax. He also was an advocate for gun control laws, bilingual education, merit selection of judges and public access for disabled people. In 1993, Telcser joined Ryan's administration in the secretary of state's office. Following Ryan's election as governor in 1998, and though disabled by Parkinson's disease, he was instrumental in coordinating the governor's transition team. "Art was a mentor and a close friend for more than 30 years," Ryan told the Chicago Tribune. "He was one of a kind, one of the best. He will be deeply missed by everyone whose life he touched." " Suddenly you have a Supreme Court that wants to play lawmaker, alderman and governor." State Sen. Kirk Dillard, a Hinsdale Republican, as quoted in the Chicago Tribune, about the Illinois Supreme Court's decision to strike down the Safe Neighborhoods Act because the General Assembly failed to follow the rule requiring lawmakers to restrict legislation to a single topic. Jonathan Reyman, an anthropologist with the Illinois State Museum, collects feathers for a good cause. Reyman told Ralph Loos of The State Journal-Register of Springfield that he volunteers his time and expertise to coordinate the Feather Distribution Project, which since 1982 has sent approximately 5 million feathers from wild turkeys, macaws and other parrots to the Pueblo Indians in New Mexico and Arizona. The feathers, used in clothing and as religious objects, are a significant aspect of Pueblo Indian religious ceremony. Prayer sticks and prayer plumes, both made with the feathers, are placed at shrines for good health and rain, and as general blessings for the gods. "Turkeys particularly have a symbolic significance in Indian religion that hawks or eagles do not," Reyman tells Illinois Issues. "As ground dwellers that roost in trees, wild turkeys connect the earth with the gods and the upper world." Reyman gets the feathers from wild turkey hunters and pet shops. In addition to helping the Pueblo tribe ensure the practice of their religion, the program reduces the smuggling of birds and feathers into this country and protects birds in their natural habitats. Jared Garver, the wild turkey project leader at the Illinois Department of Natural Resources, says most of the state's counties now are open to turkey hunting. A century ago, wild turkeys had largely vanished from Illinois. But as we enter the new millennium, there may be as many as 110, 000. The News-Gazette of Champaign reports the wild turkey population had risen enough by 1970 that birds in the Shawnee were trapped and distributed around the state. Illinois started restocking in 1958 with a program that brought wild turkeys from Mississippi, Arkansas and West Virginia to the Shawnee National Forest. "We've stocked turkeys in 99 of the state's 102 counties," Garver told News-Gazette reporter Kirby Pringle. "And we have 84 of those counties open to turkey hunting." From about 30, 000 turkeys in the Ozarks, the Cumberlands and the Appalachians in the 1930s, the wild turkey population throughout the nation has grown to about 4.2 million today, according to estimates of the National Audubon Society.